wishing you and your families a wonderful Easter holiday! See you back next week! ich wünsche euch und euren Familien schöne und entspannte Osterfeiertage! Bis bald! Aww look at those little chicks! Love the fabric she used for their bellies. Hope you have a wonderful Easter too! Happy Easter Duni! Those little chicks are too adorable. Off to check out her shop. Cute! I hope you have a great Easter break too! Happy Easter. What cute little chicks! Thank you for the nice tip about Mollie Makes...got the issues I didn't have. Love your candy stand and all of your beautiful photos. Have a lovely Easter! So cute! Hope you, your family and Sammy has a very Happy Easter! 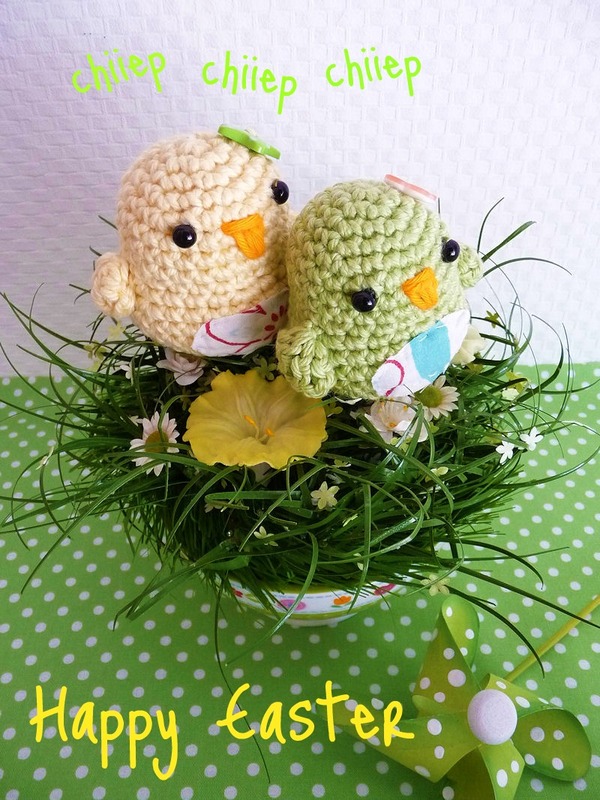 Those crochet chicks are adorable. Those are just sooo cute. Happy Easter, Duni! Oh, sind diese Küken niedlich! Deine Küken sind so süß! Its here sunny but cold !!!! Happy Easter! Love the little chicks. 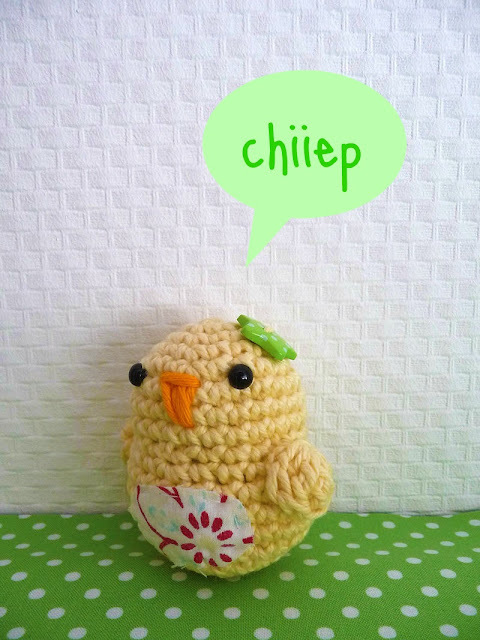 Those little chicks are so cute! Happy Easter! This chicks are adorable! I hope you had a wonderful Easter. Vielen Dank für Deinen netten Kommentar auf meinem Blog.